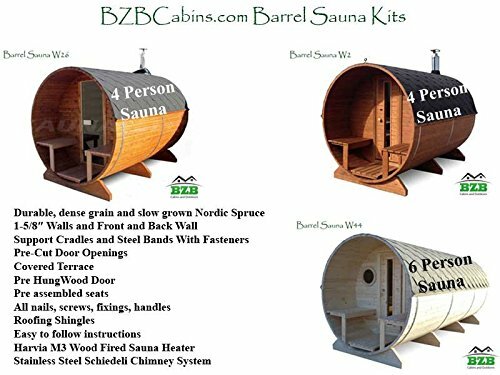 BZBCabins.com Barrel Sauna Kit W44, 6 Person Outdoor Sauna With Harvia M3 Wood Burning Heater | Steam Shower - Bathroom Showers- Infrared Sauna - from SteamShowerDealer.com | SteamShowerDealer is your #1 source to buy designer and comfortable steam showers, steam spas and Infrared Saunas and accessories at discounted prices. 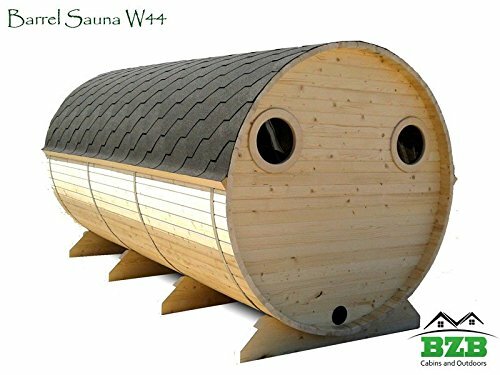 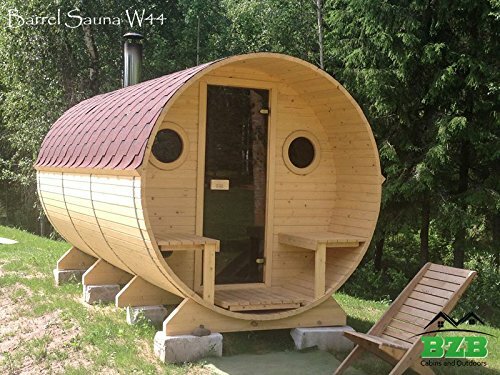 Out of doors Barrel Sauna Kit W44! 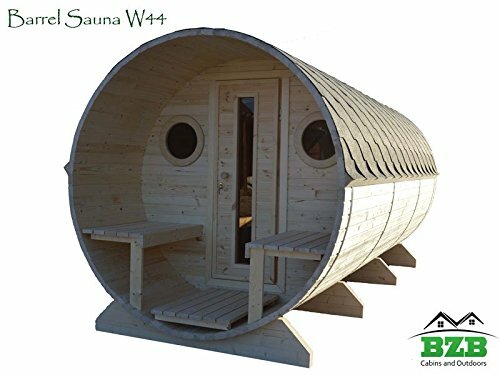 The Barrel Sauna model W44 will comfortably seat 6 adults. 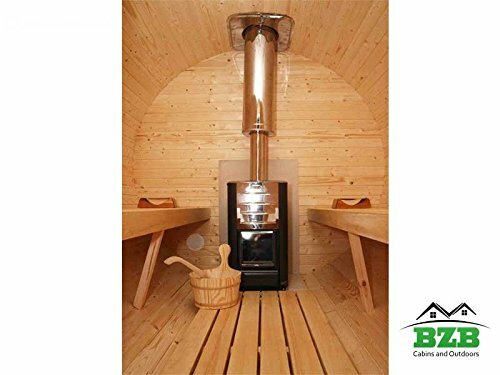 Each and every kit comes fully equipped with seats, doors, windows and top of the range electric or Wooden fired heating systems. 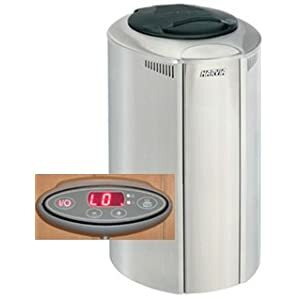 The cutting edge cylindrical shape permits natural circulation of air, providing you with longer steam cycles and saving on energy costs. 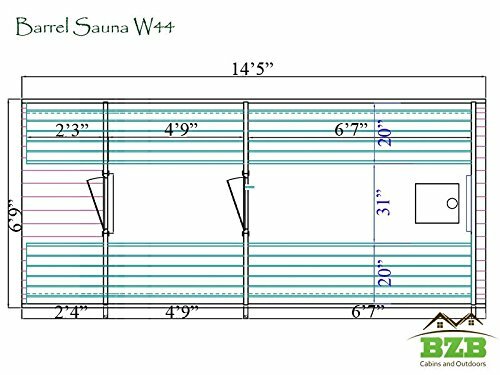 Our saunas are designed for do-it-yourself assembly that may usually be completed by two adults in an afternoon or two depending at the size of the model. 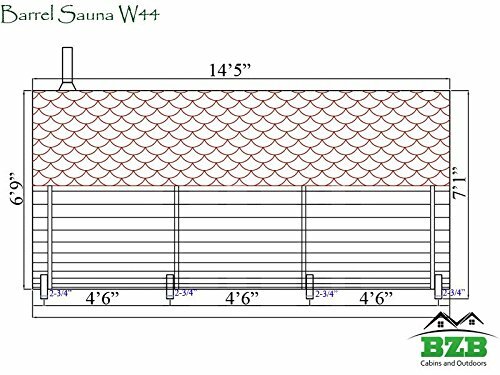 On the other hand, we are offering a whole assemble service by our trained and experienced installation crew. 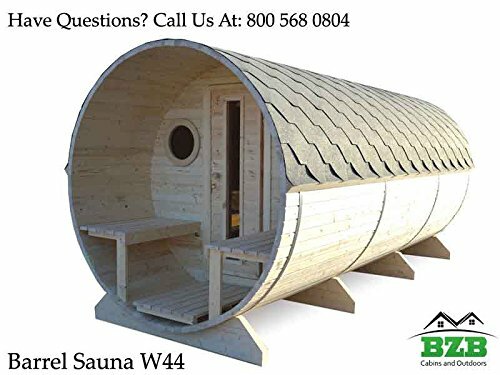 Whichever option you’ll make a selection we will be able to offers you complete Fortify. 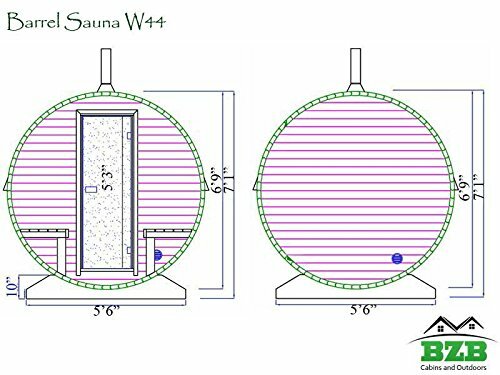 There are other models that may be used as saunas, just please tell us and we will be able to in finding the suitable size model for you! 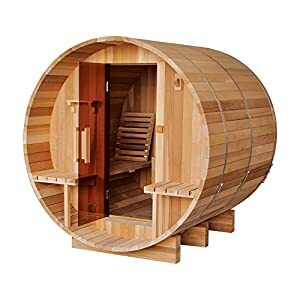 Create your personal little piece of heaven in a secluded spot on your garden or next on your pool.Choice of Rooms:2, Wall Thickness:1-5/8″ ( 42 mm), Within Dimensions: 6’6′ x 4’9″ Changing Room and six’6″ x 6’7″ Steam room,Within Diameter: 6’6″, Sauna Bench Dimensions: 2x 4’9″, 2x 6’7″, Out of doors Dimensions: 14’5″ Long x 6’9″ Wide x 6’9″ High, Out of doors Diameter: 6’7″, Overall Height: 7’1″, Door Dimensions: 22″ x 63″, Door Type: FREE UPGRADE!! 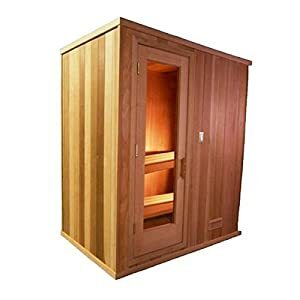 !, Wooden Door, Porch Dimensions: 2’4″, Terrace Covered:Yes, Foundation Materials Included: Yes, Weight:2500 lbs, Windows: Optional Assembly: Required Heater Kit: Wooden Burning, HarviaM3+Schiedeli Chimney Please Note: All Saunas Are Delivered Unfinished LEAD TIME forty five-60 DAYS!